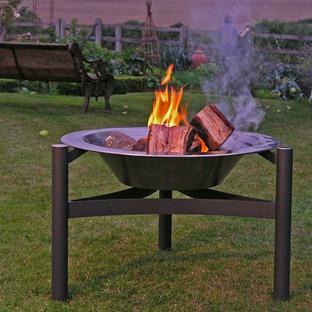 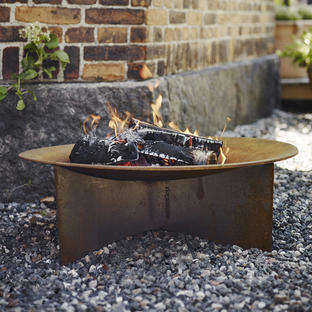 Solid Cast Iron Fire Bowl to keep the cold away on chilly summer evenings. 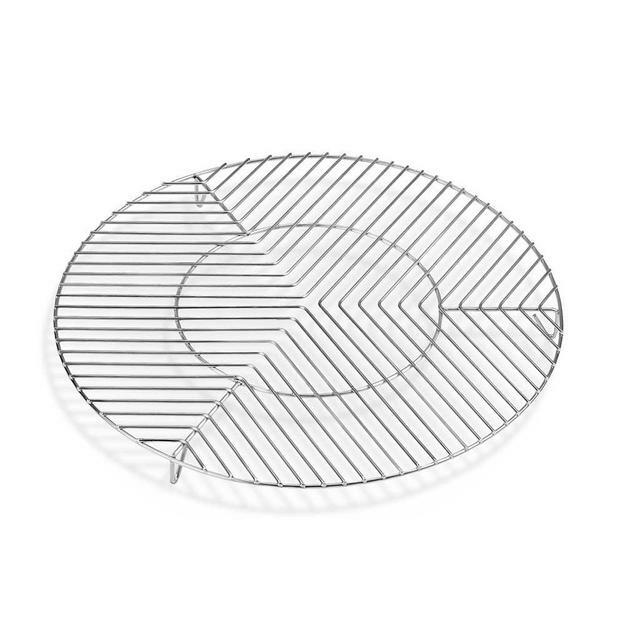 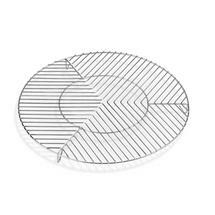 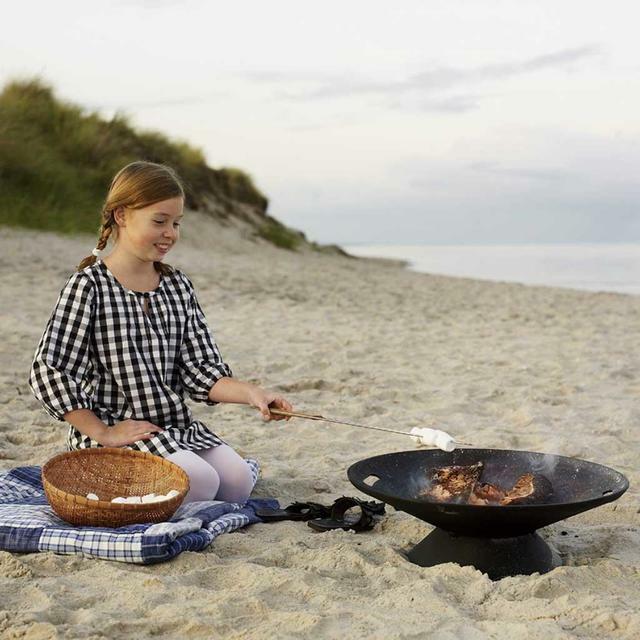 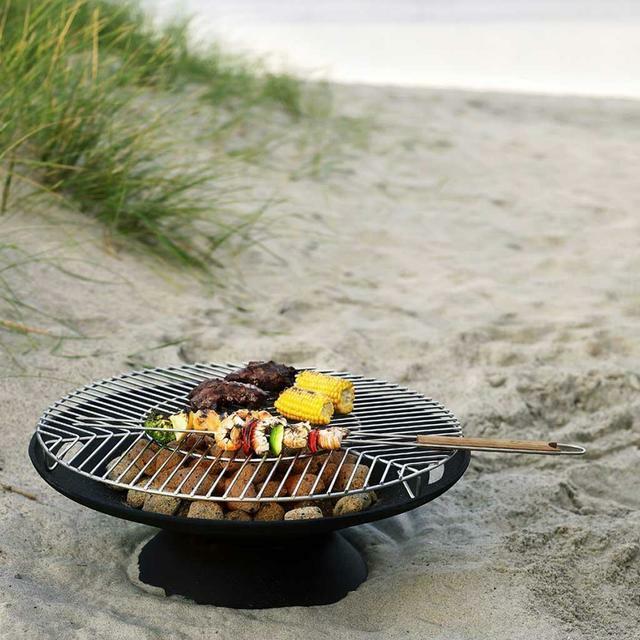 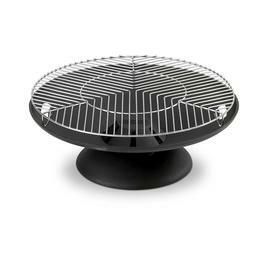 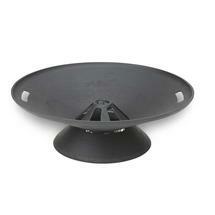 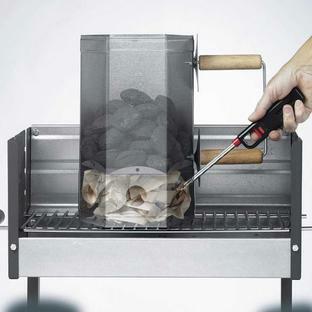 A separate stainless steel grill to allow food to be cooked on top of the fire pit is available. Another useful accessory is the marshmallow fork. 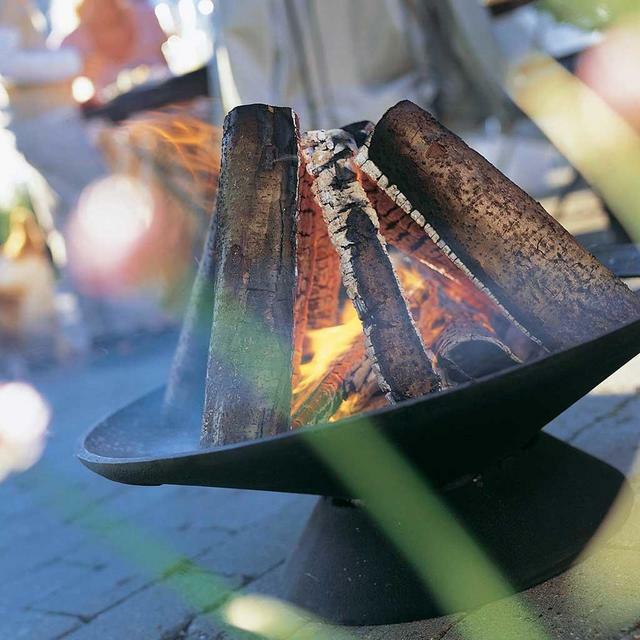 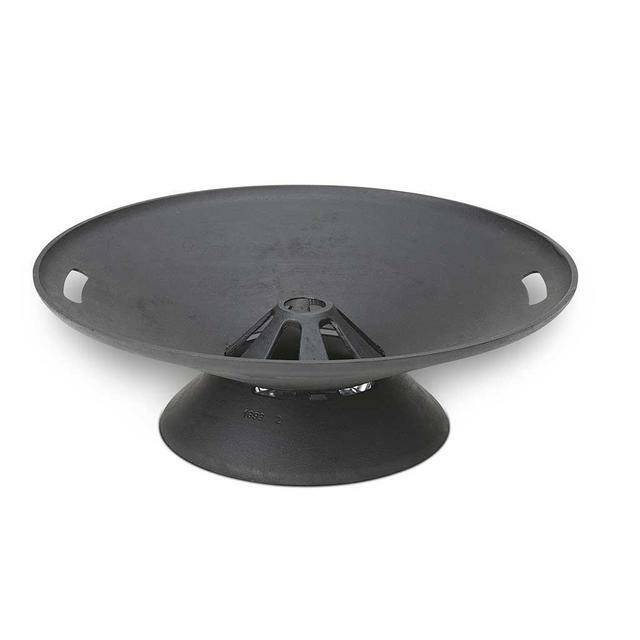 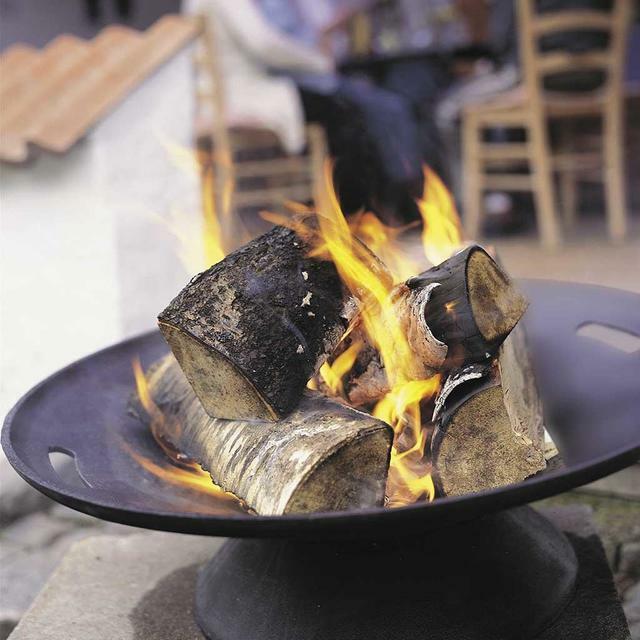 Fire bowl is made from cast iron. 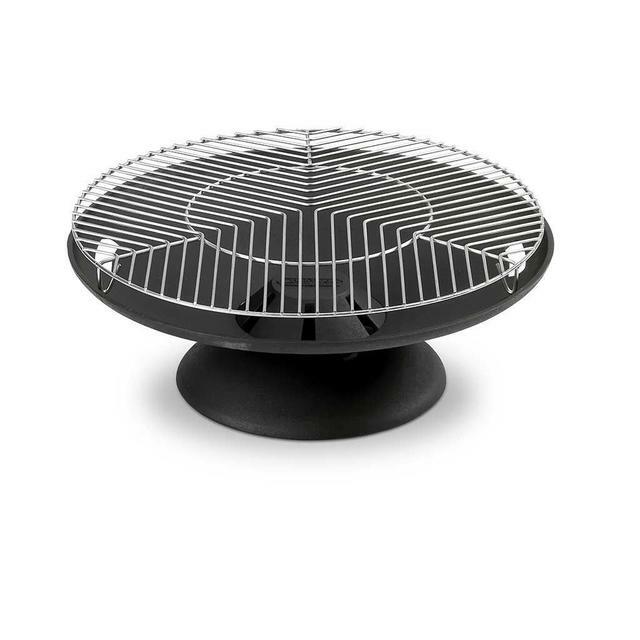 Grill is made from steel.